VitalSource's interactive e-book authoring platform is gaining a few more features. The new release, VitalSource Content Studio 2.0, adds legacy content conversion and one-click publishing capabilities to the platform's EPUB 3 authoring tool. And an embedded WIRIS math editor now allows authors to create complex math notation with full accessibility support. 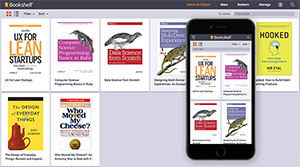 VitalSource Content Studio outputs content as EPUB 3 for distribution in VitalSource Bookshelf, the company's e-textbook reading platform, or a compliant third-party reader. The content is "fully responsive on desktop, tablet or smartphone screen sizes, enables interactivity, and supports industry-standard accessibility requirements," according to a company statement, and can be accessed online or offline through Bookshelf's mobile or desktop applications. For more information on Bookshelf or Content Studio, visit the VitalSource site.